Trustworthy and worry-free, this Used 2017 Ford Focus S packs in your passengers and their bags with room to spare. This Ford Focus comes equipped with these options: Wheels: 15 Steel w/Covers, Variable Intermittent Wipers, Urethane Gear Shift Knob, Trunk Rear Cargo Access, Transmission: 5-Speed Manual, Tires: P195/65R15, Systems Monitor, SYNC Communications & Entertainment System -inc: enhanced voice recognition, 911 Assist, 4.2 LCD display in center stack, AppLink, 2 smart charging USB port, Bluetooth and steering wheel controls, Strut Front Suspension w/Coil Springs, and Streaming Audio. 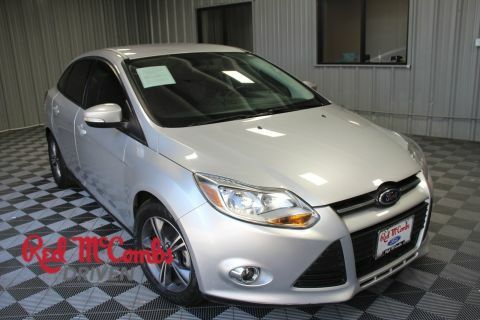 Pilot the whole group in the comfort of every amenity in this tried-and-true Ford Focus. 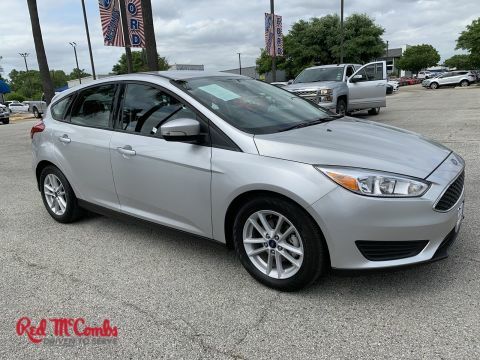 For a hassle-free deal on this must-own Ford Focus come see us at Red McCombs Superior Hyundai, 4800 Nw Loop 410, San Antonio, TX 78229. Just minutes away!